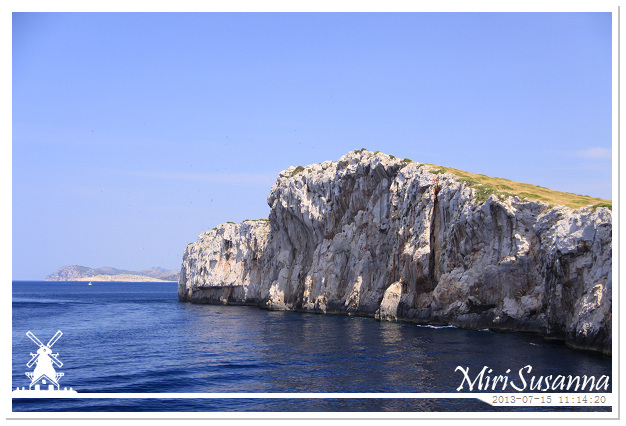 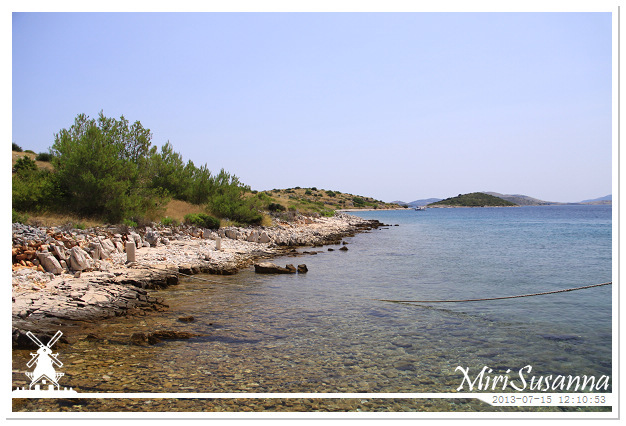 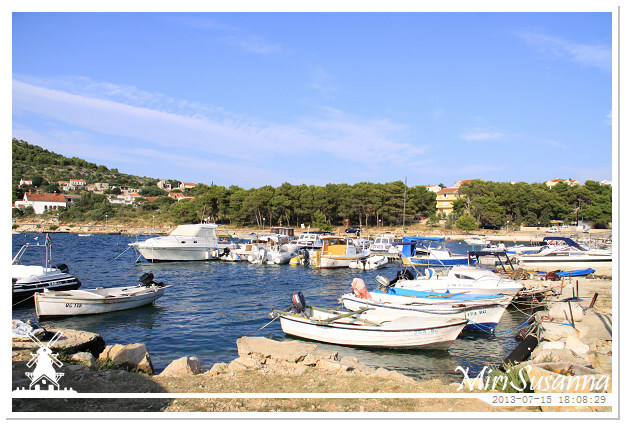 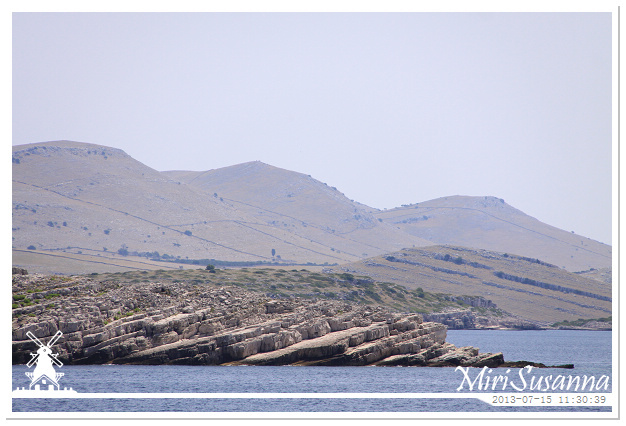 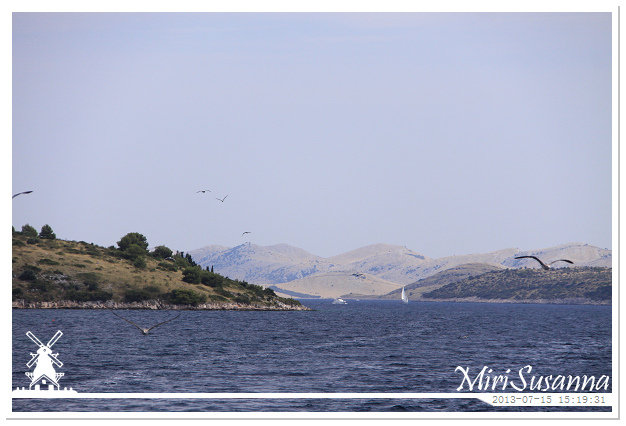 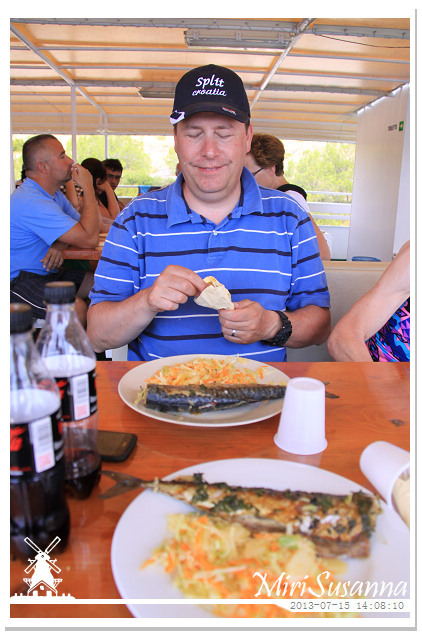 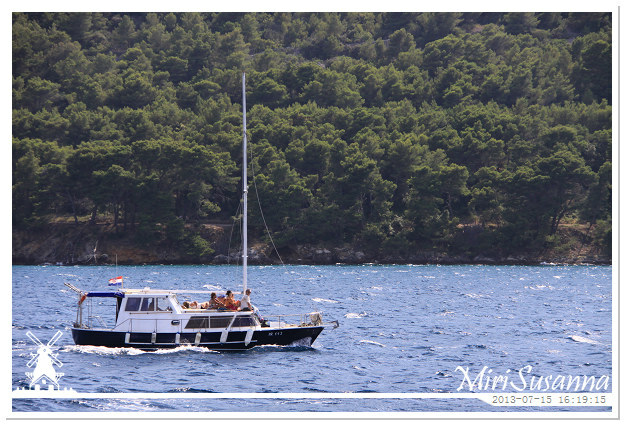 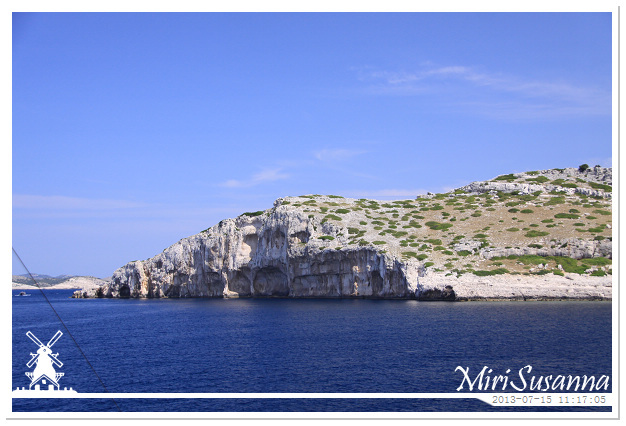 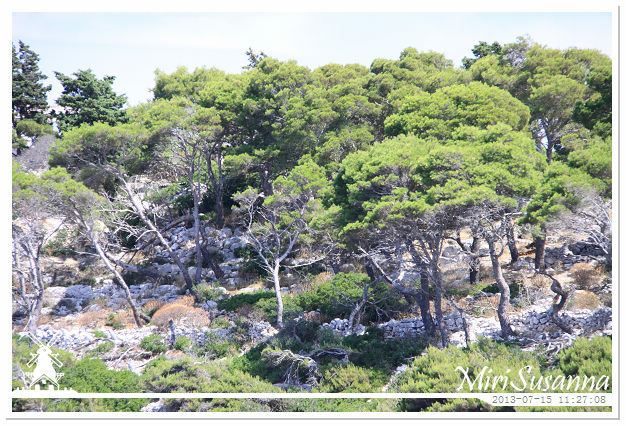 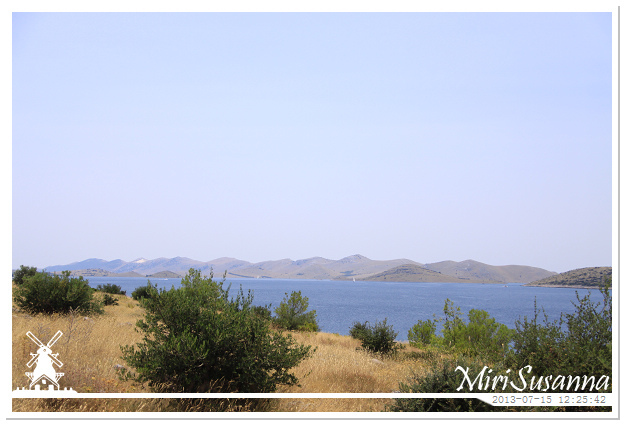 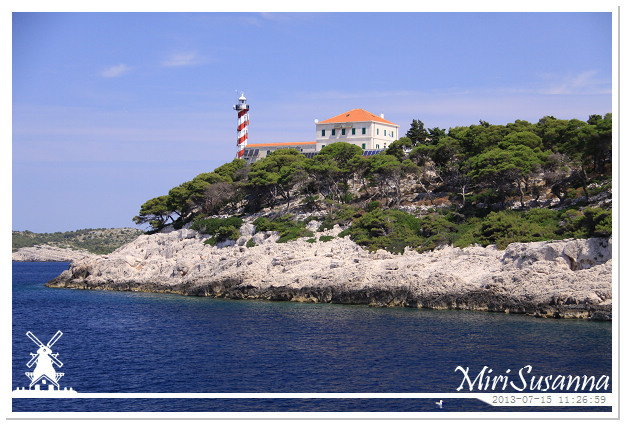 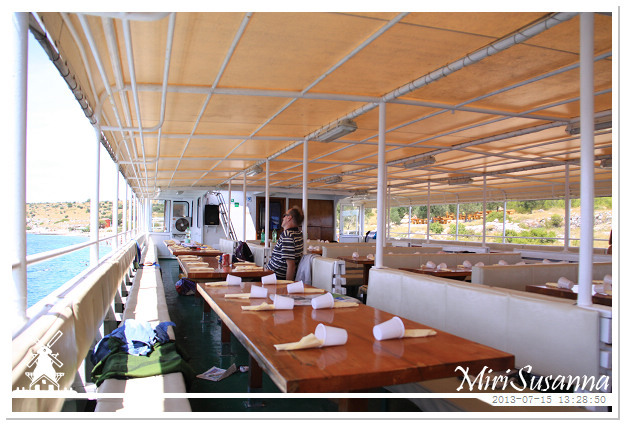 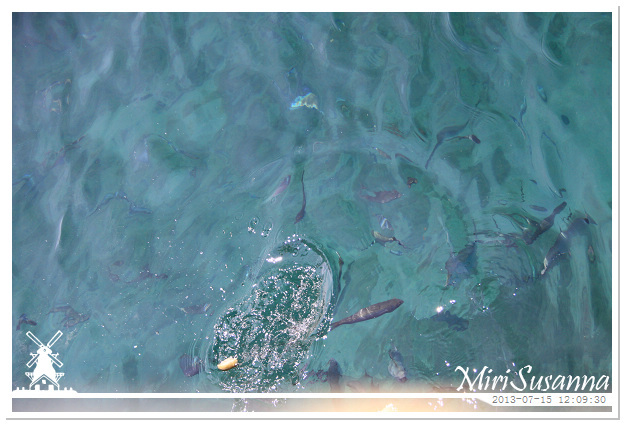 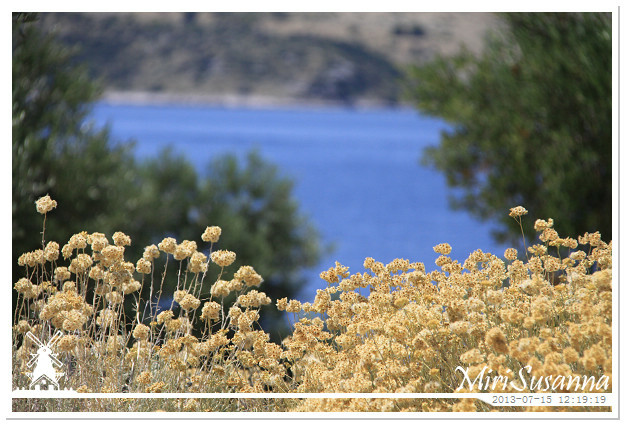 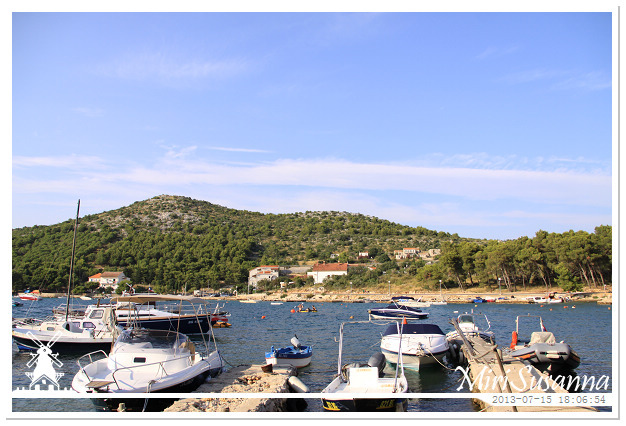 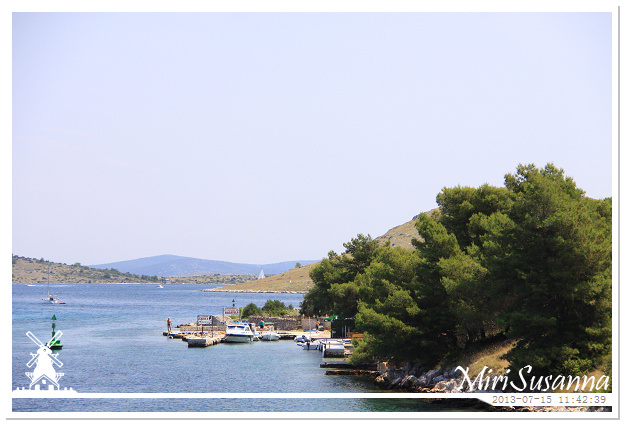 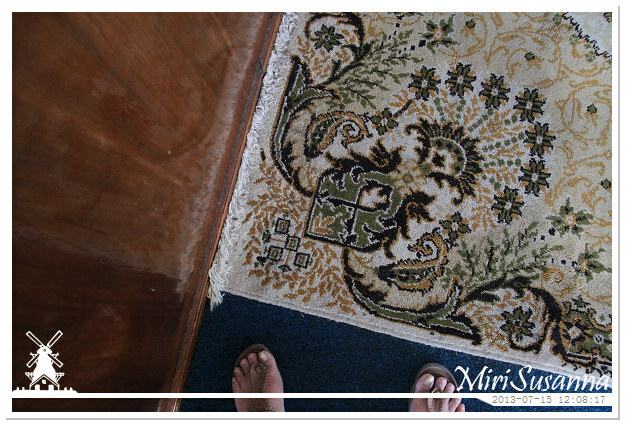 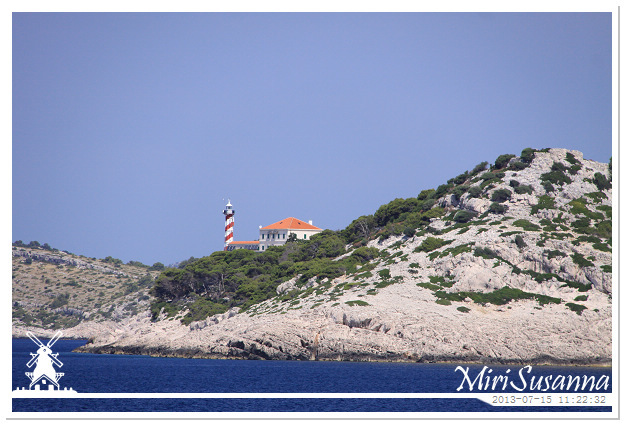 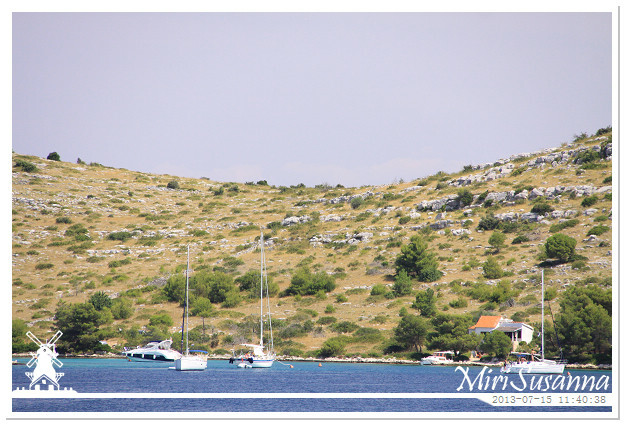 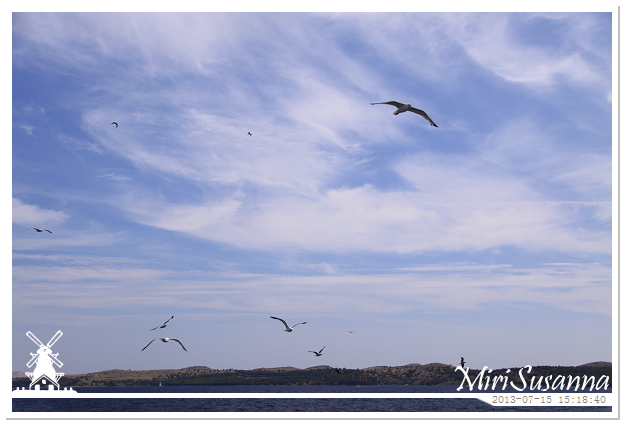 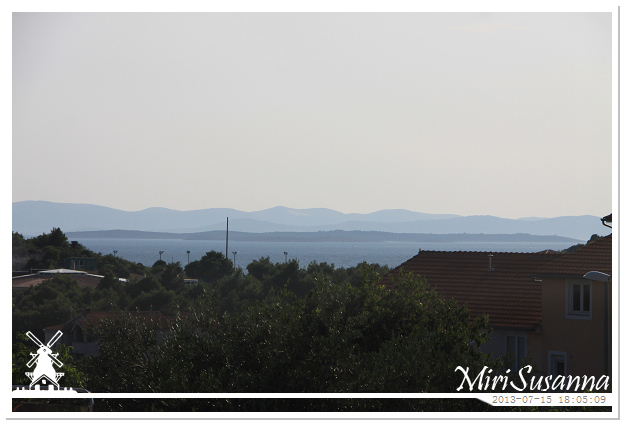 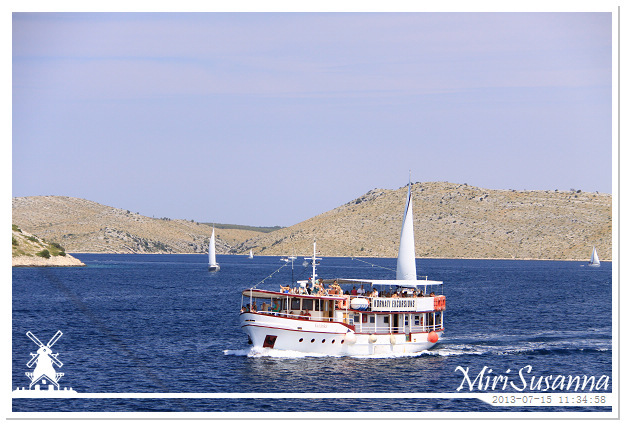 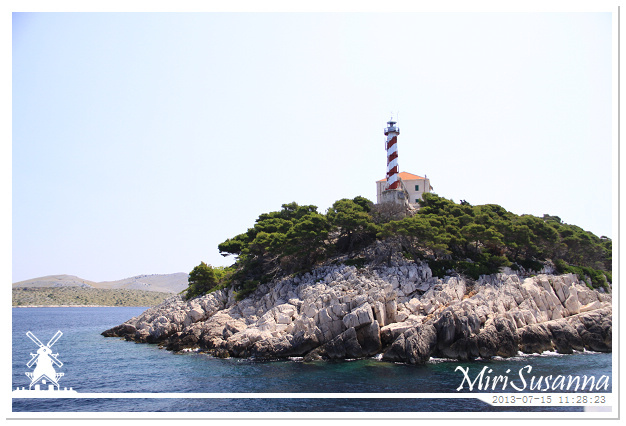 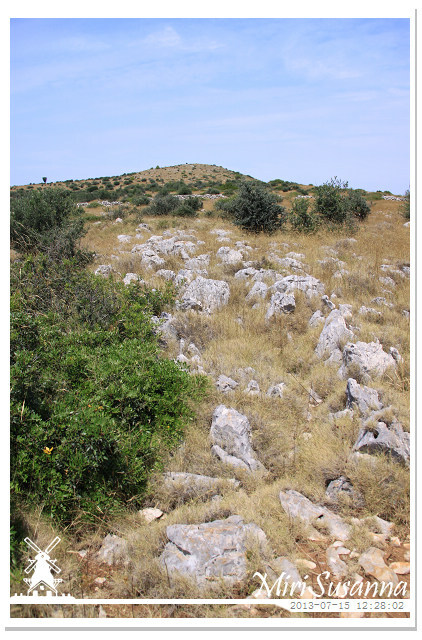 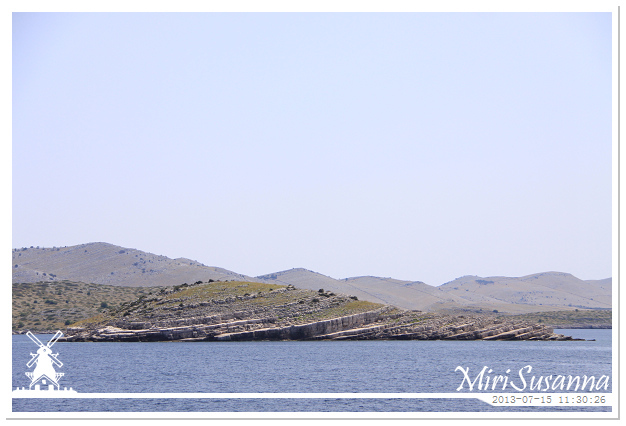 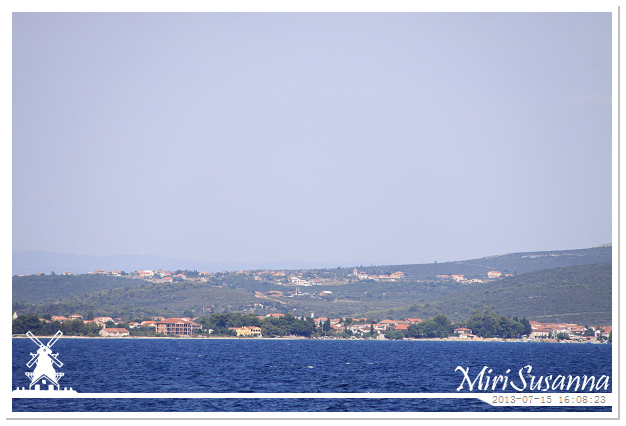 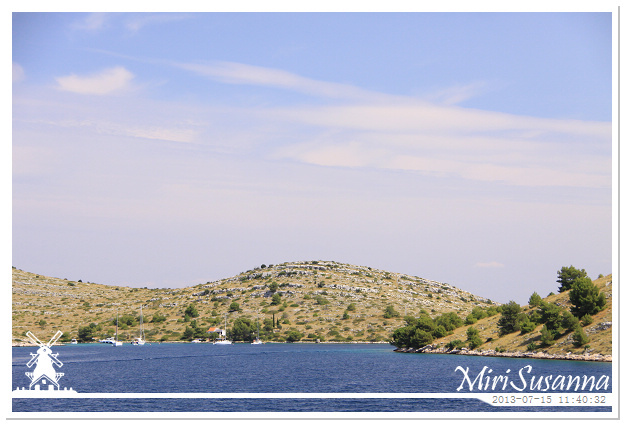 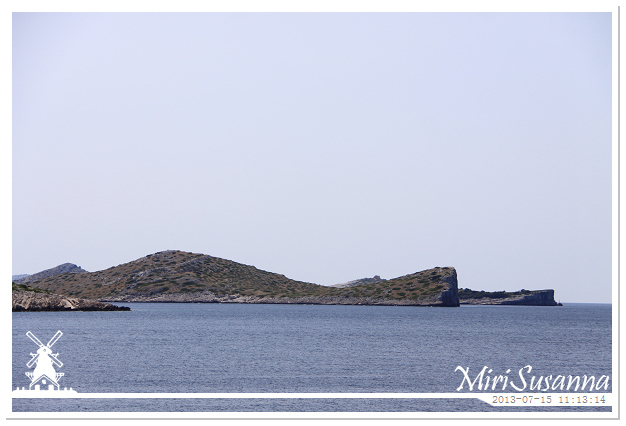 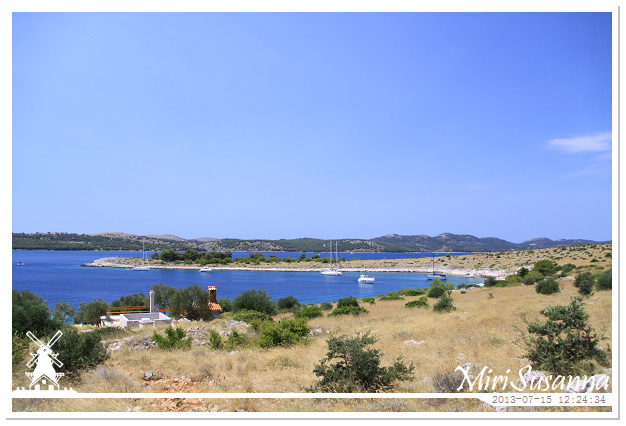 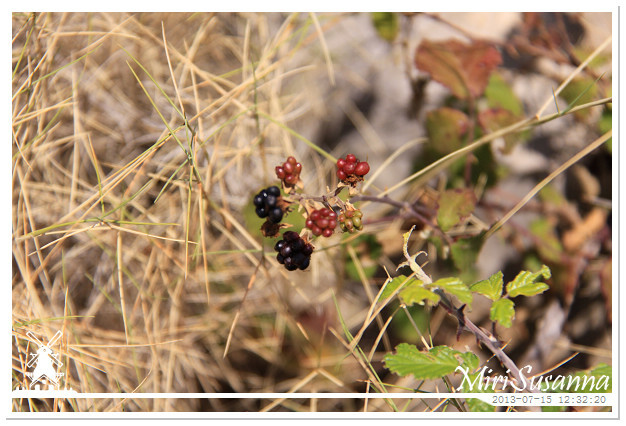 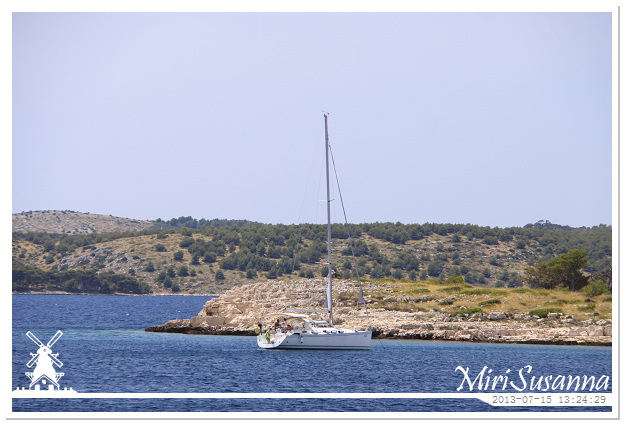 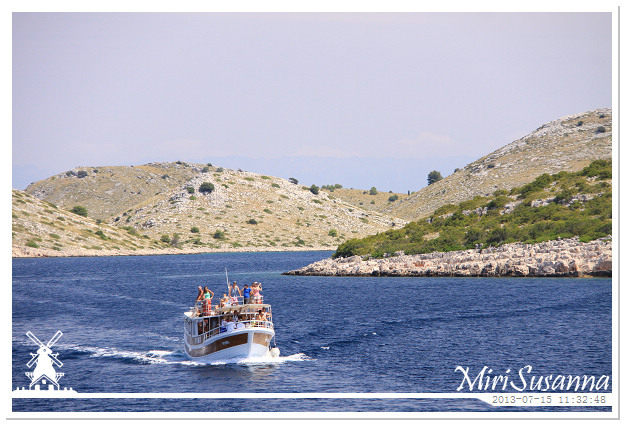 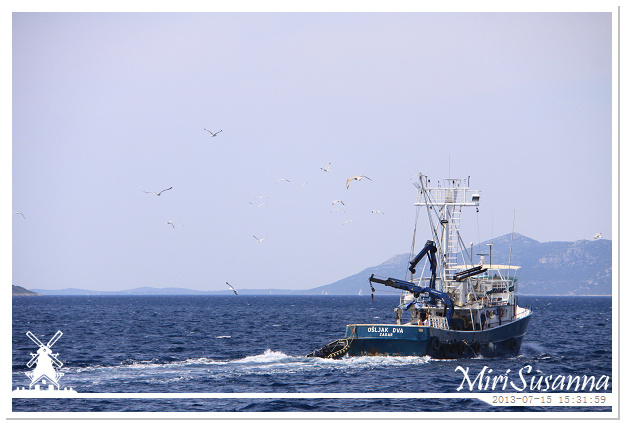 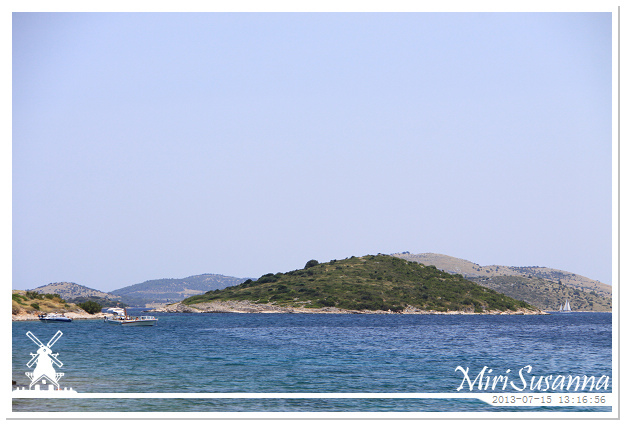 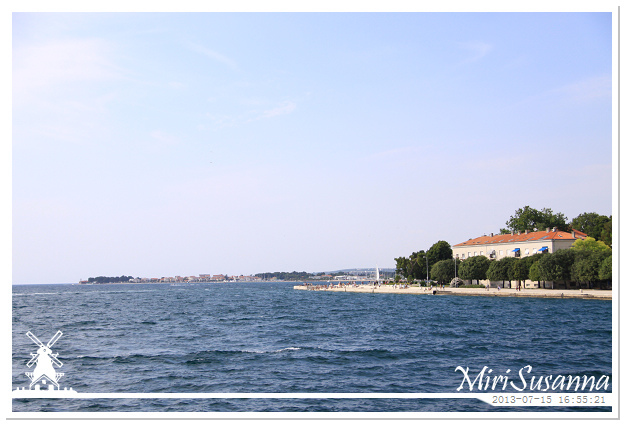 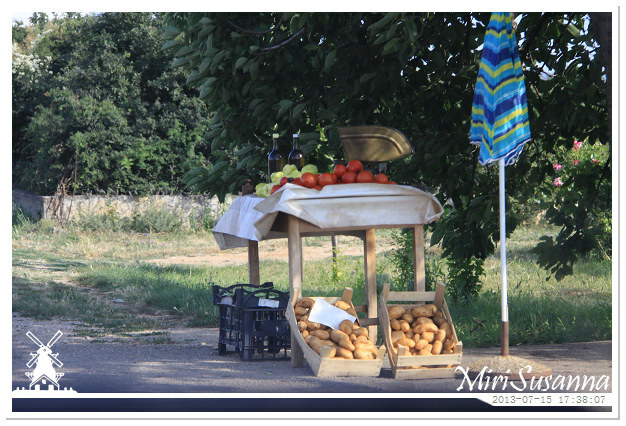 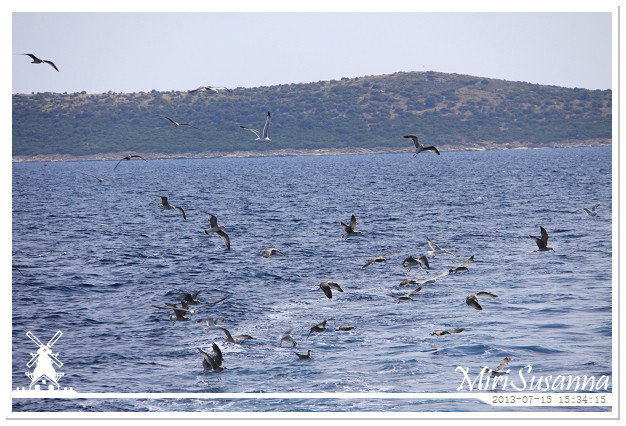 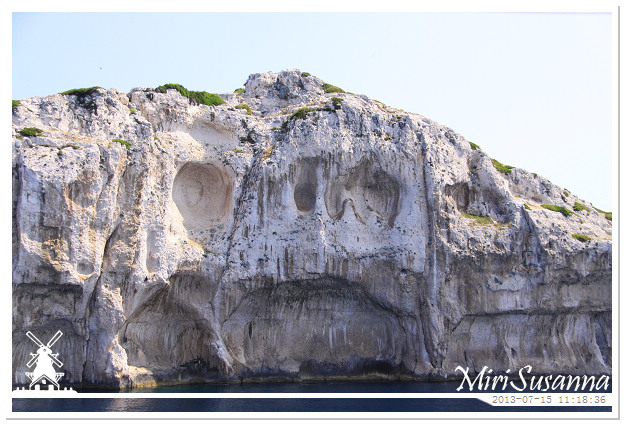 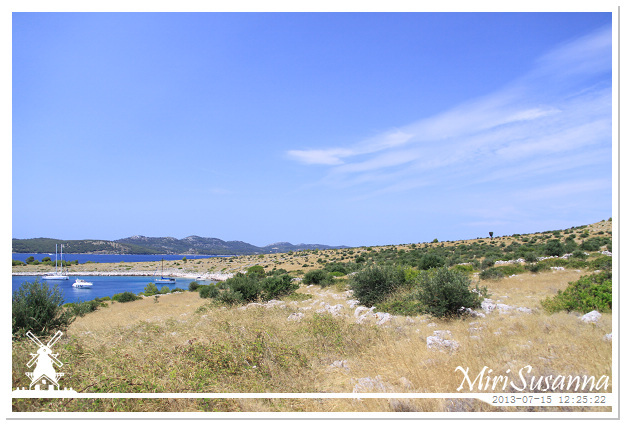 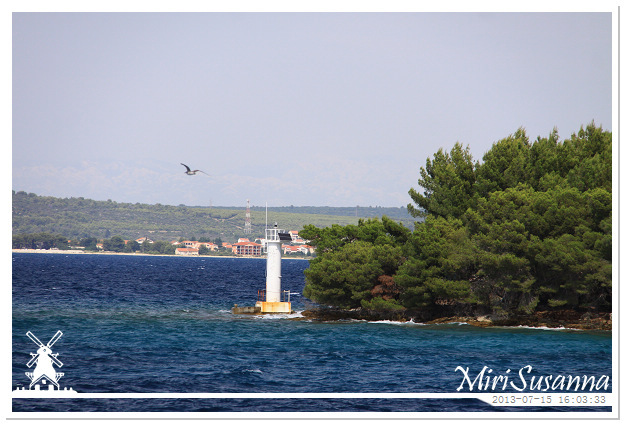 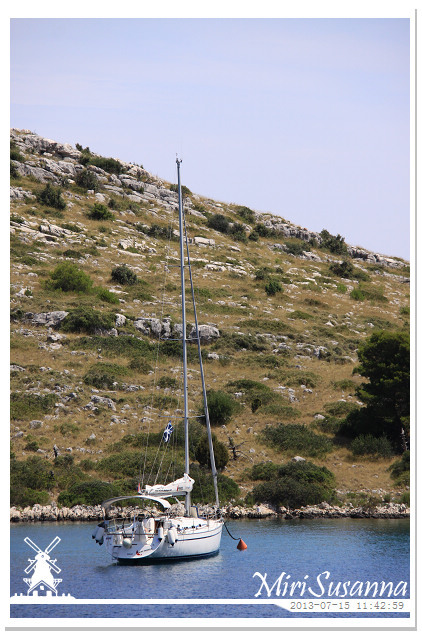 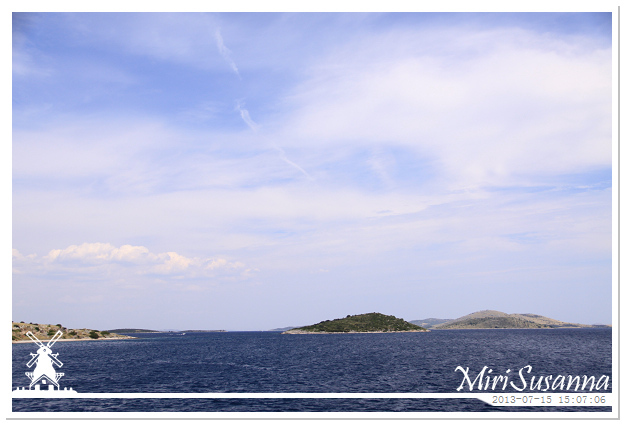 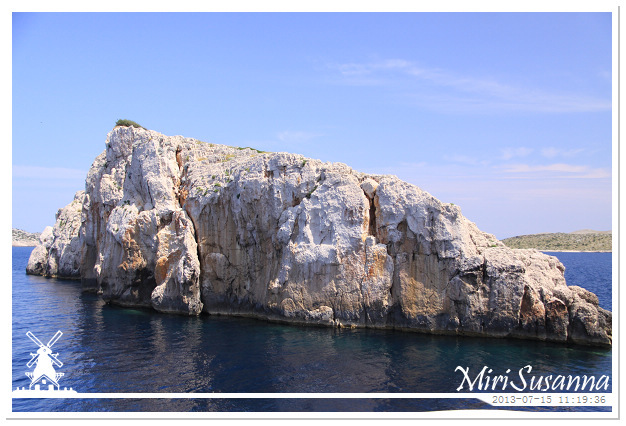 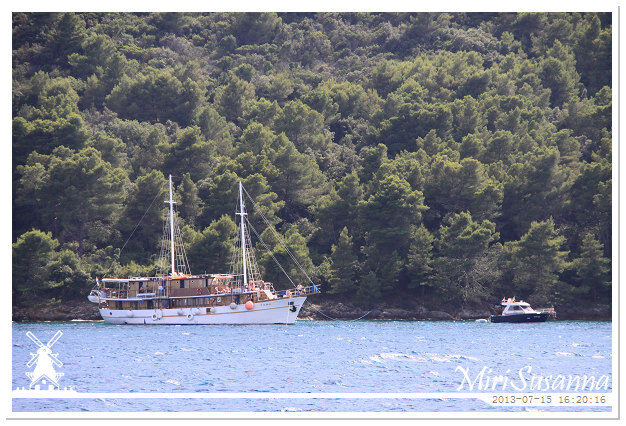 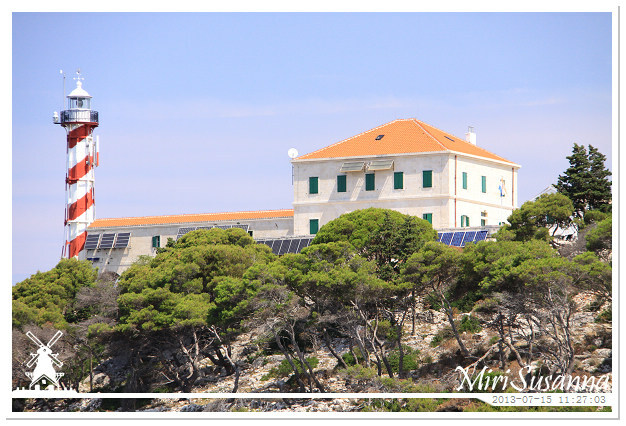 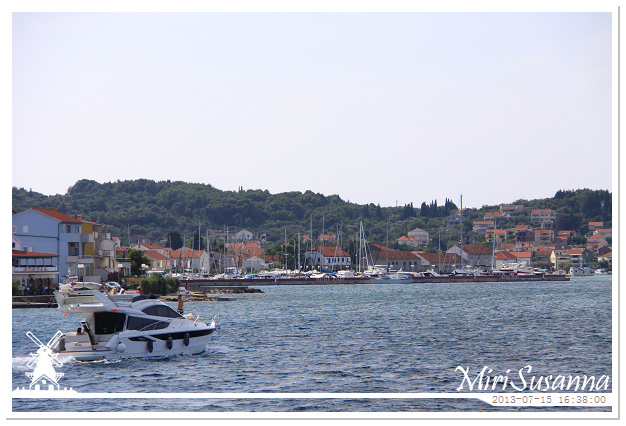 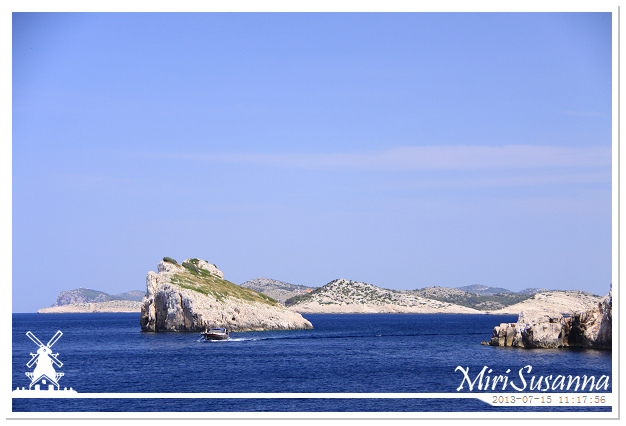 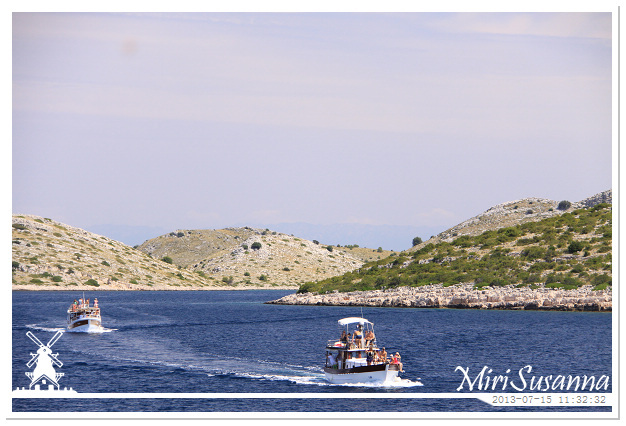 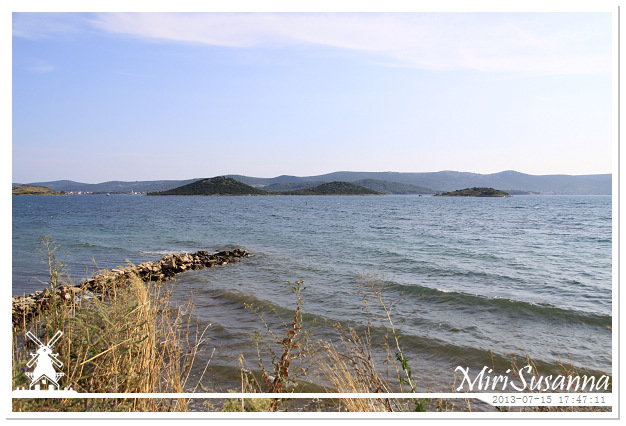 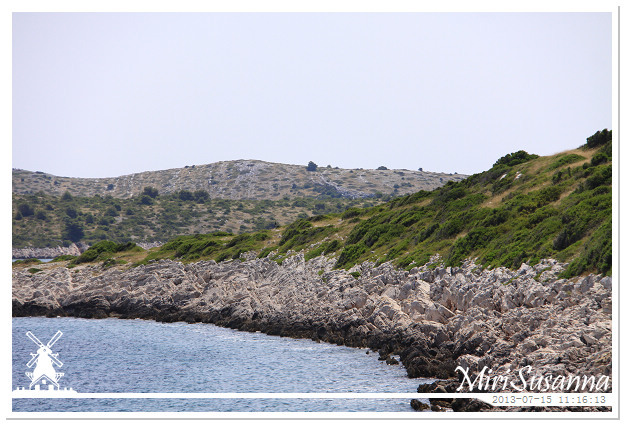 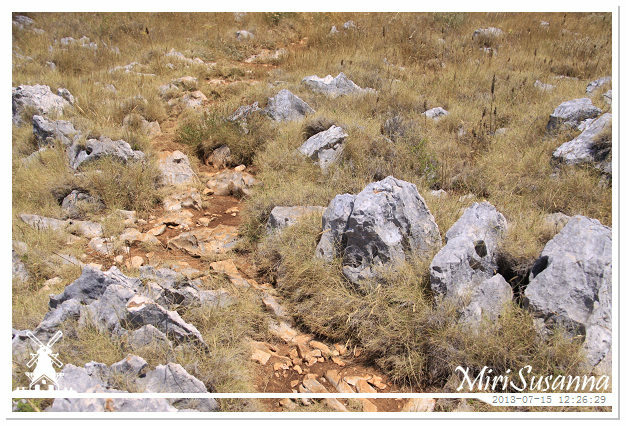 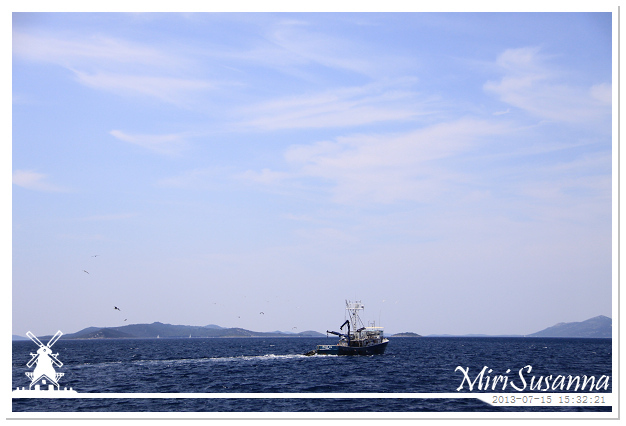 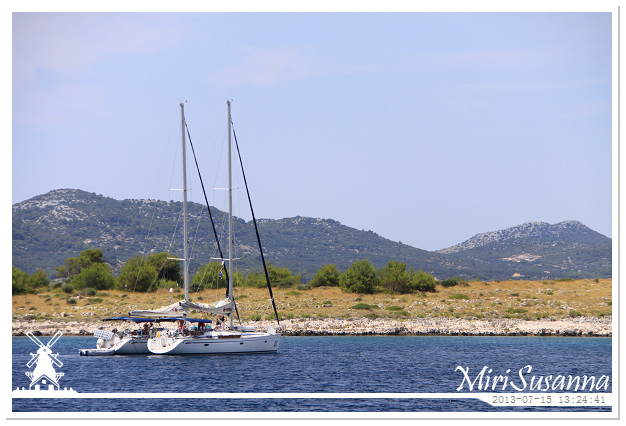 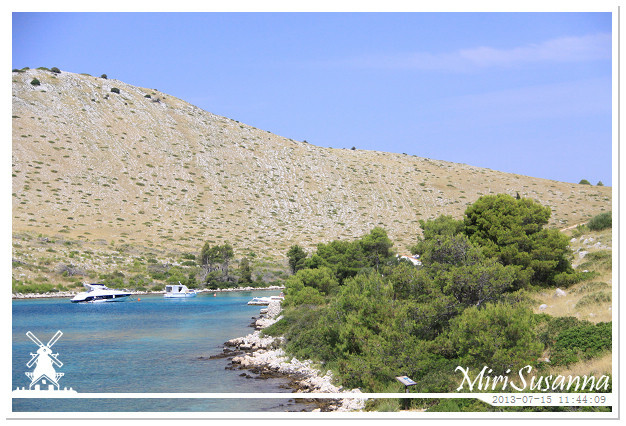 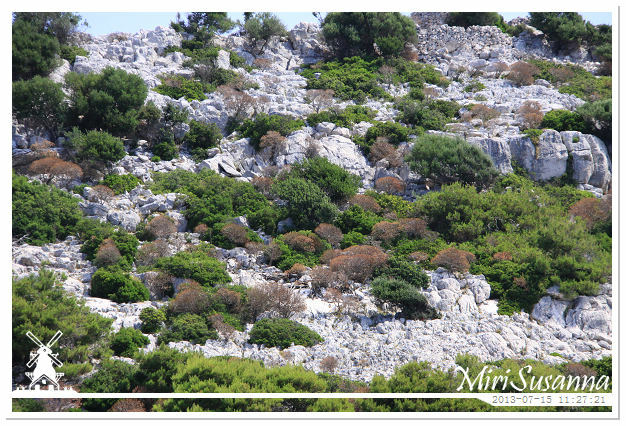 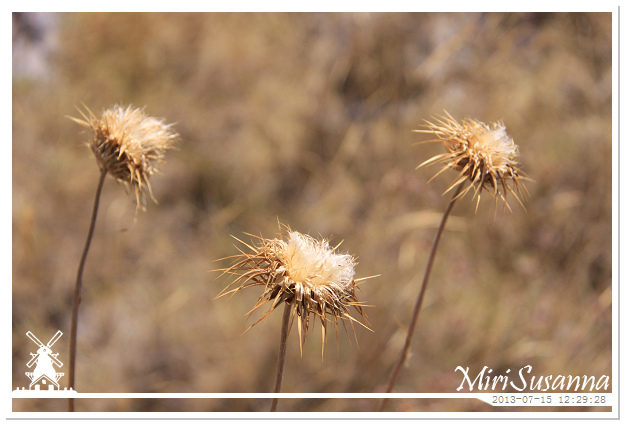 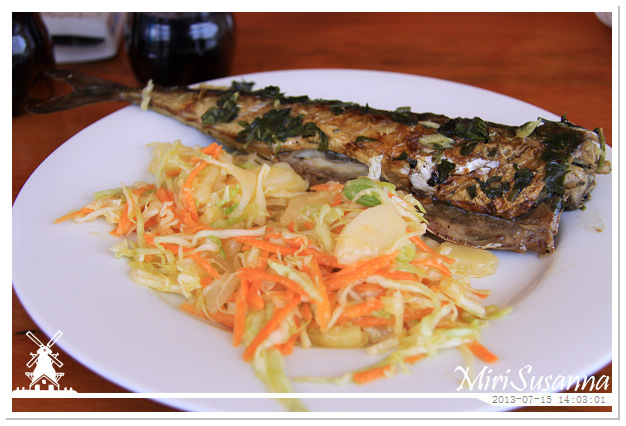 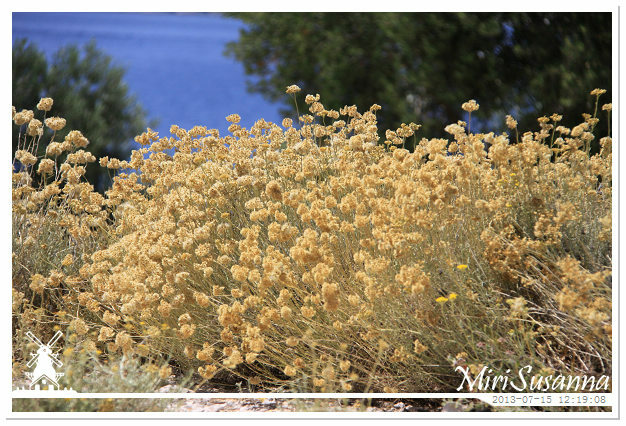 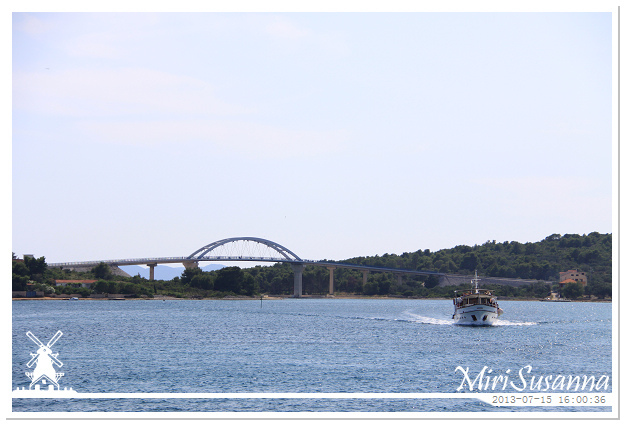 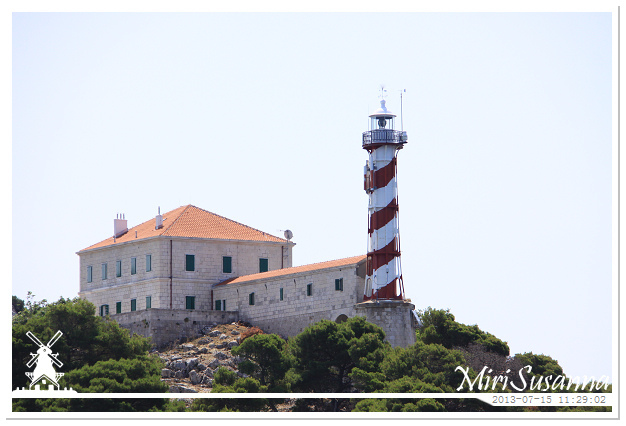 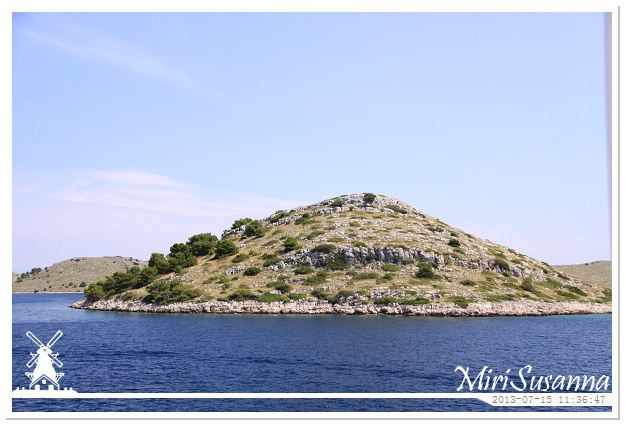 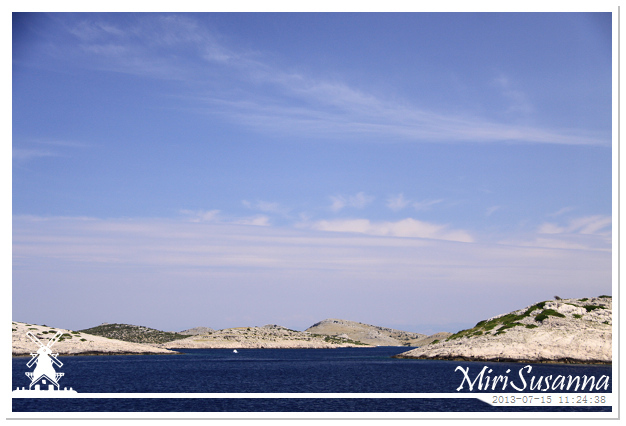 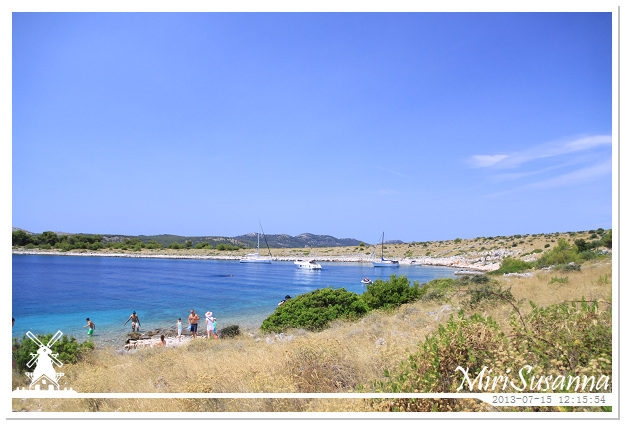 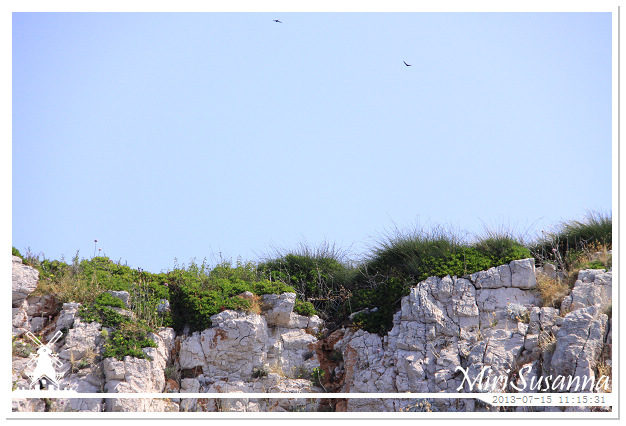 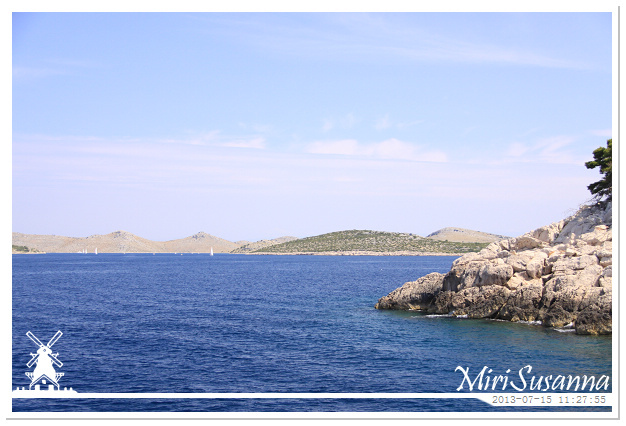 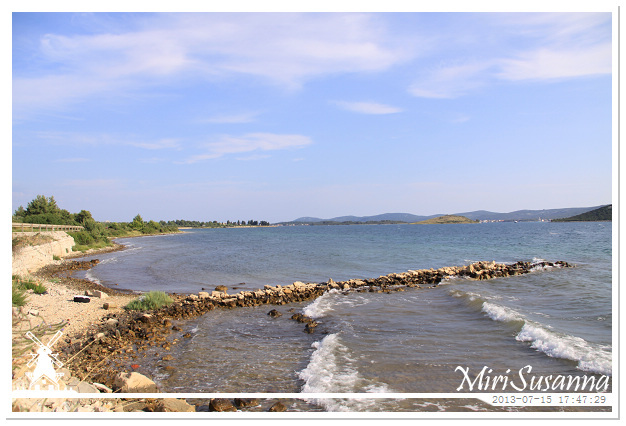 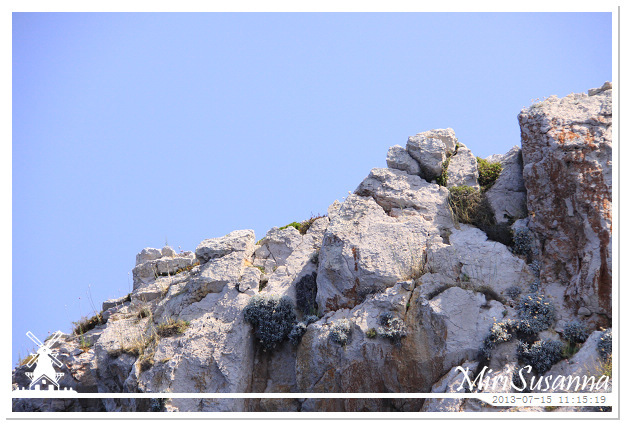 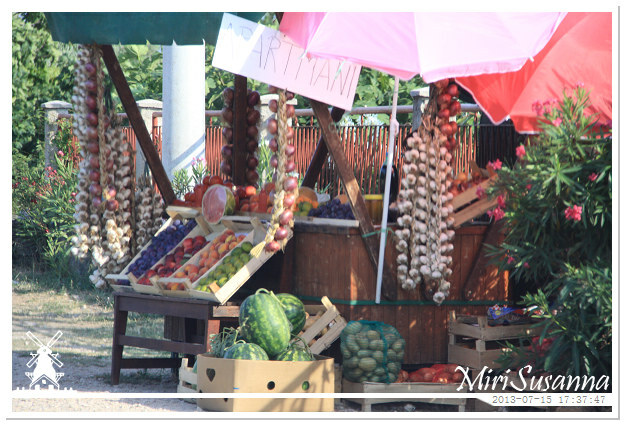 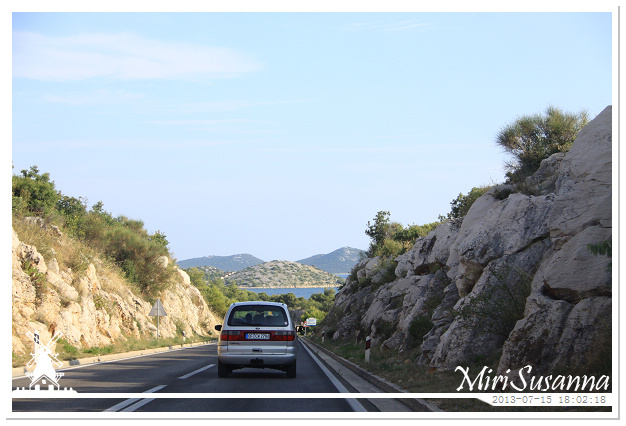 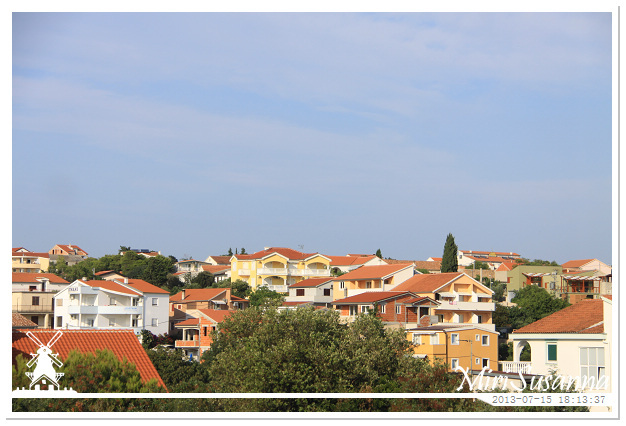 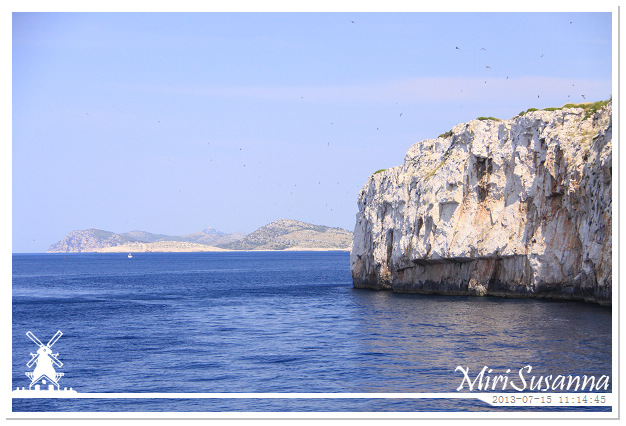 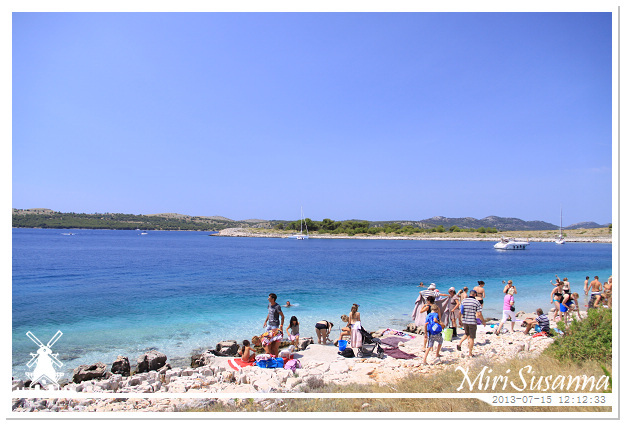 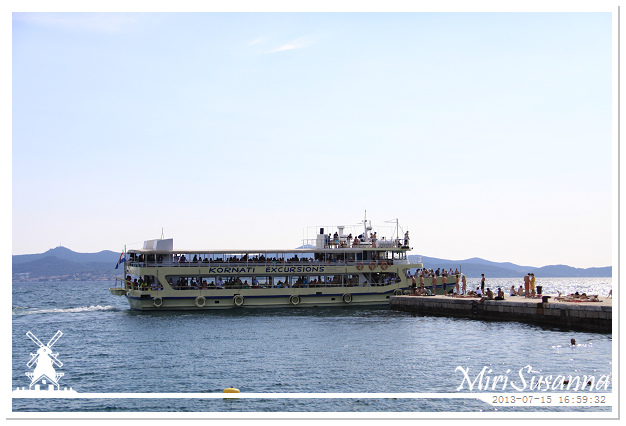 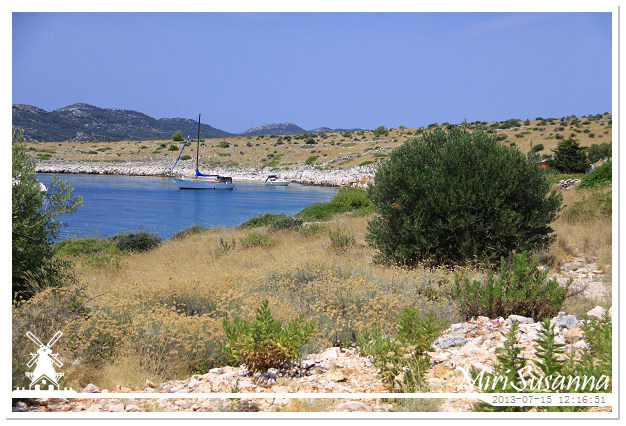 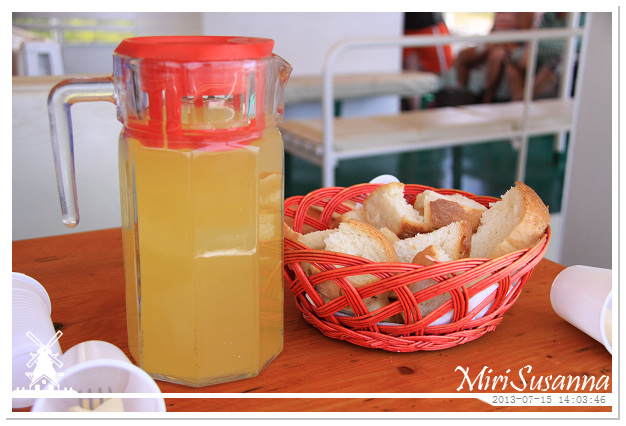 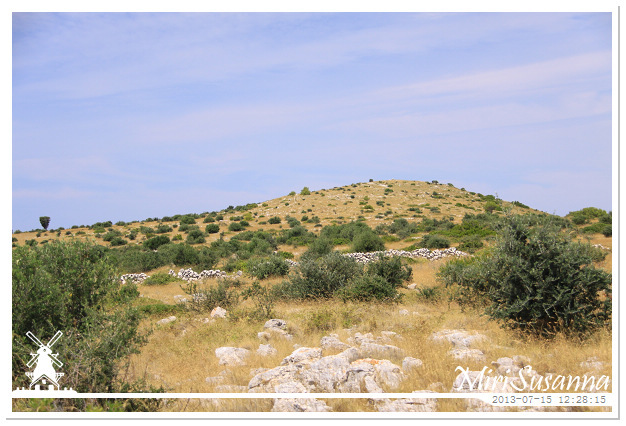 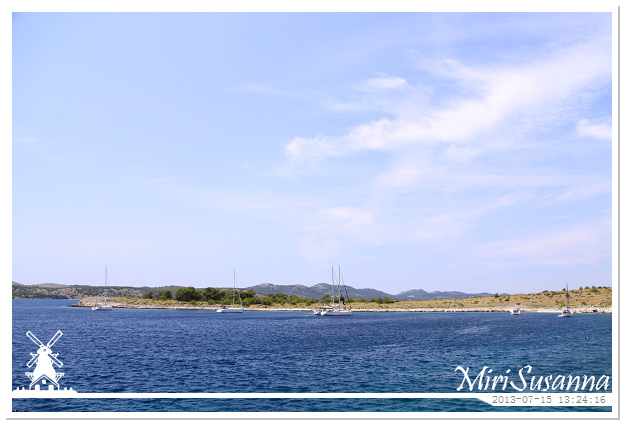 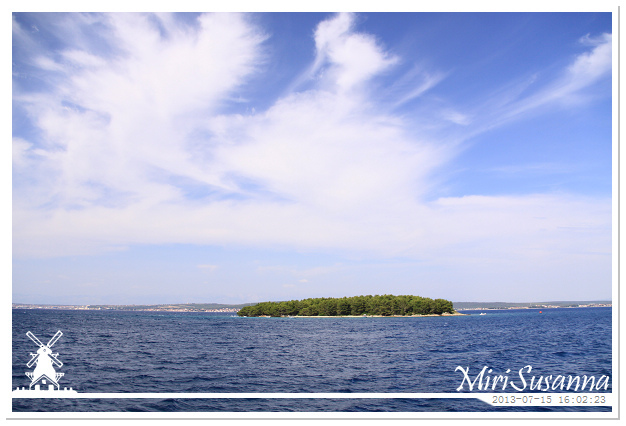 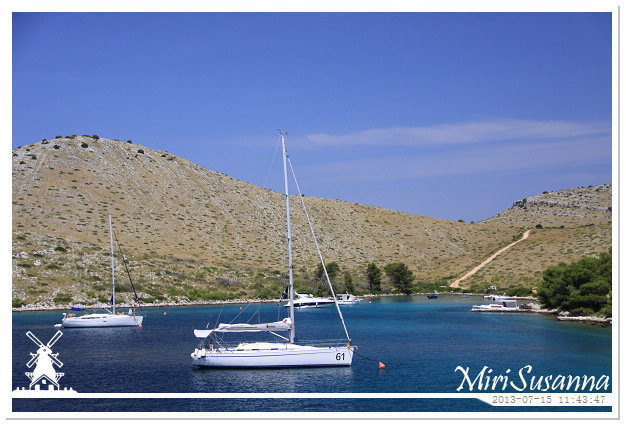 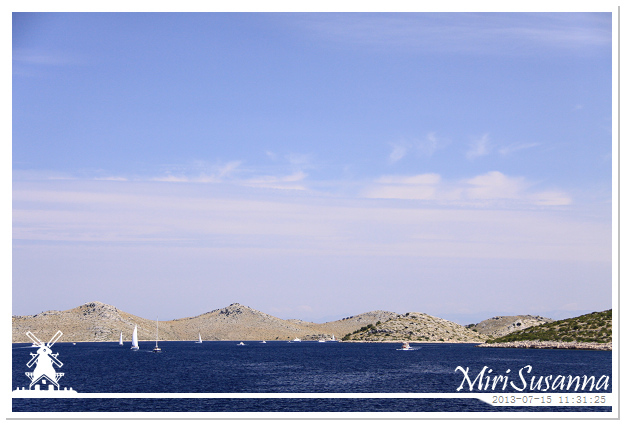 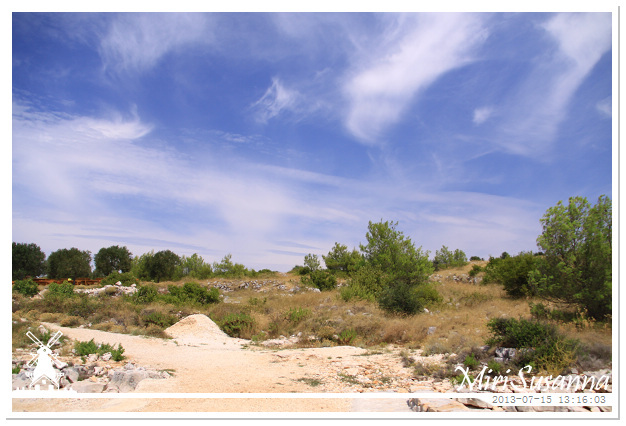 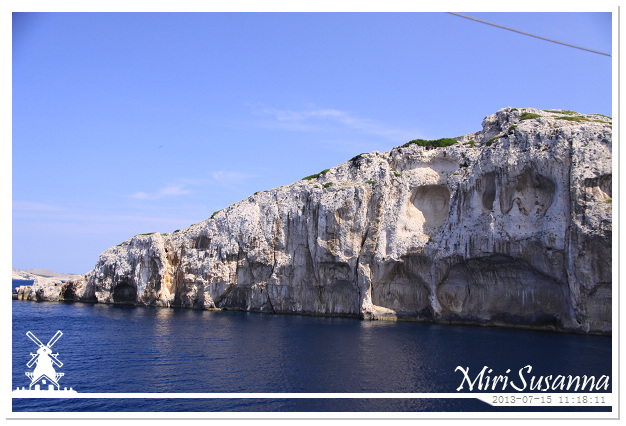 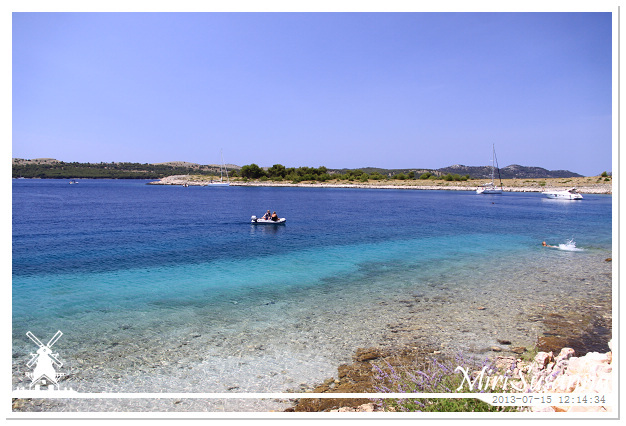 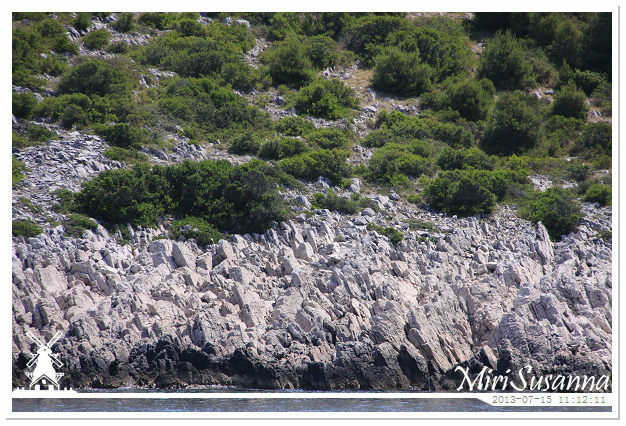 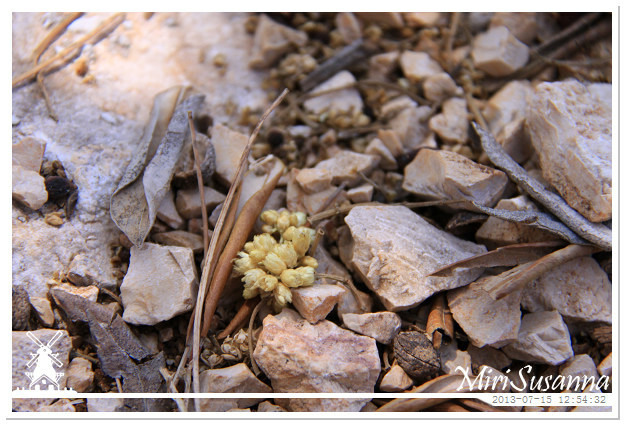 Continue with our Kornati Excursion. 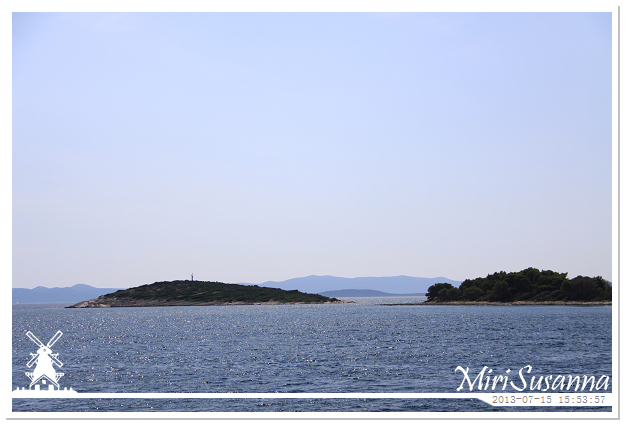 These islands are facing to open sea area. 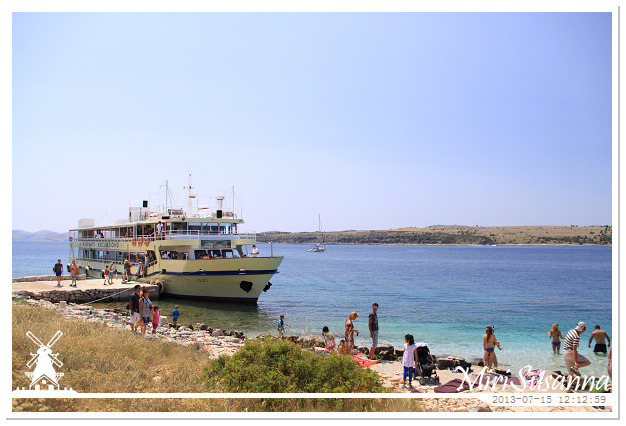 Our boat stopped at Lavdara Island. 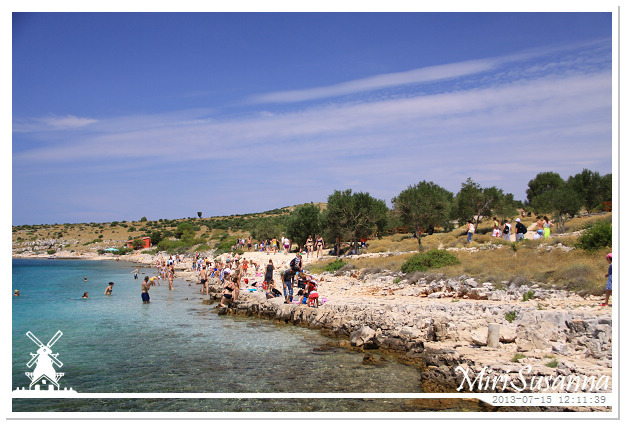 We have 2 hours to enjoy our time here. 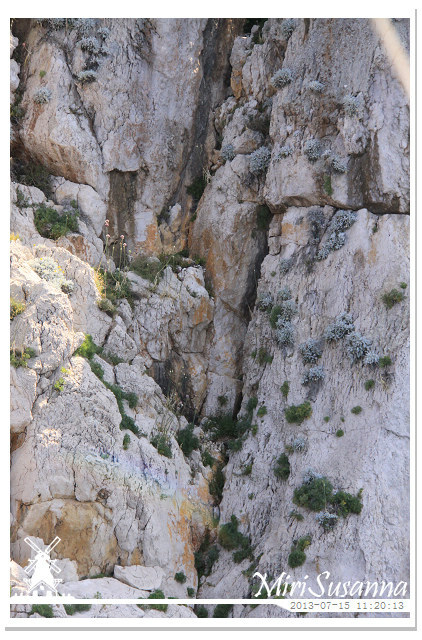 I think these are the stones to build the walls. 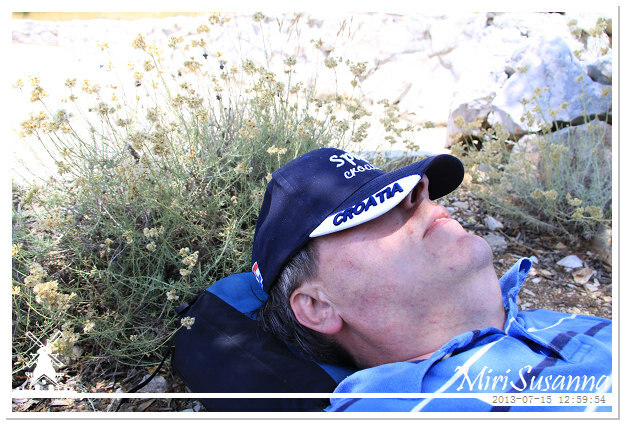 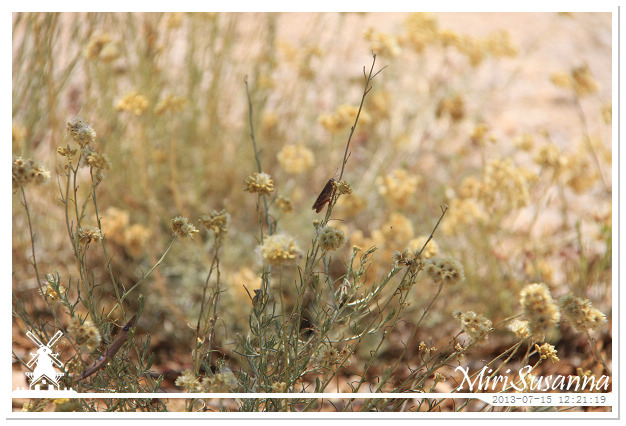 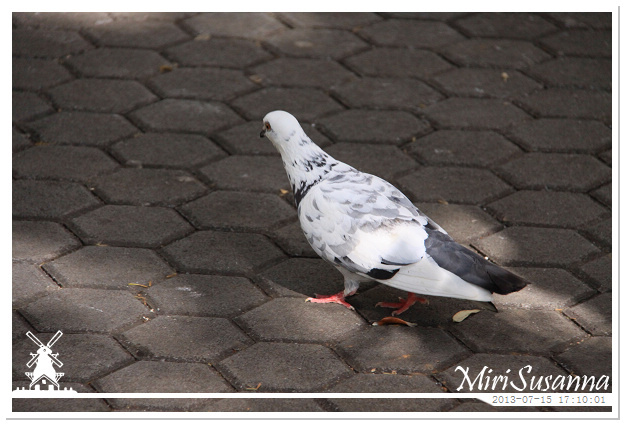 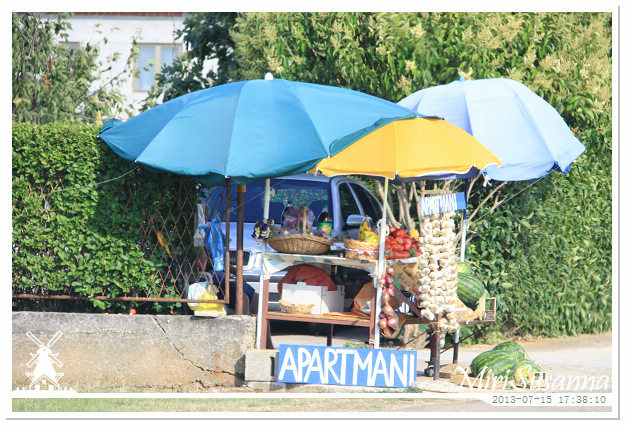 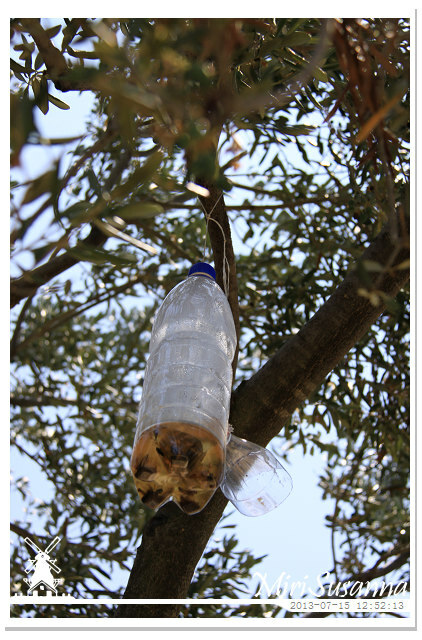 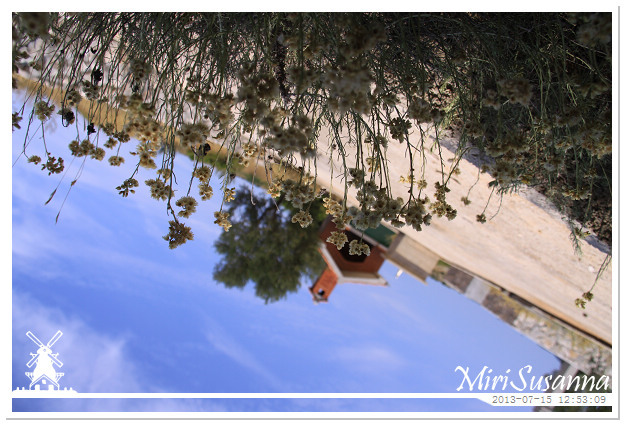 Take a rest under a olive tree. 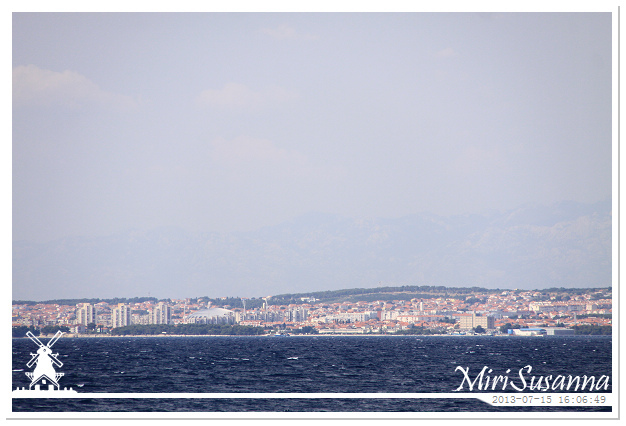 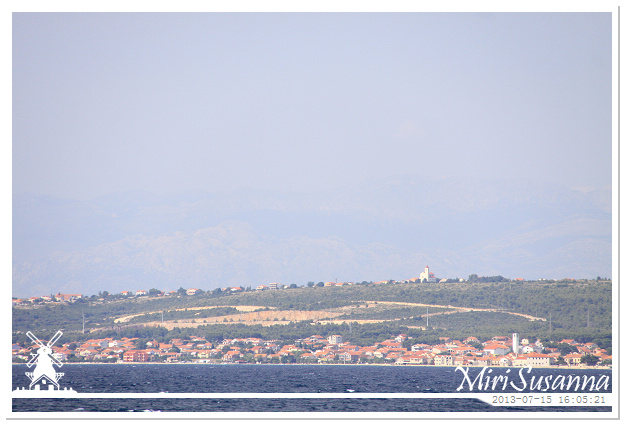 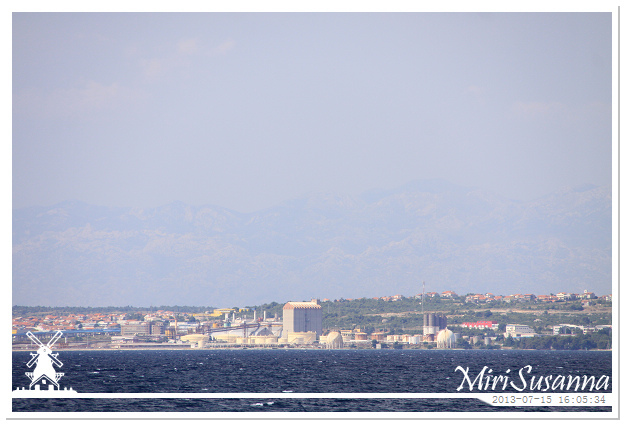 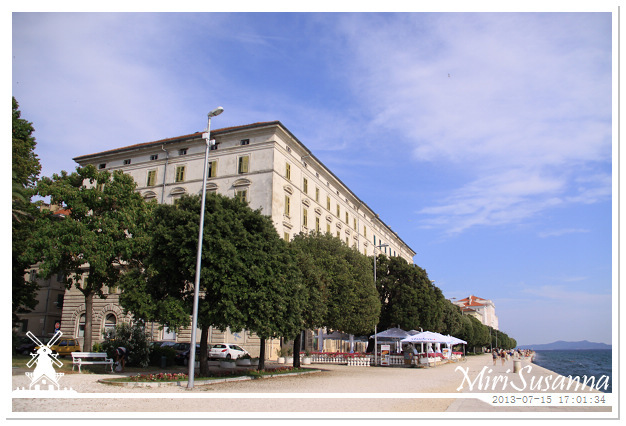 15pm, going back to Zadar. 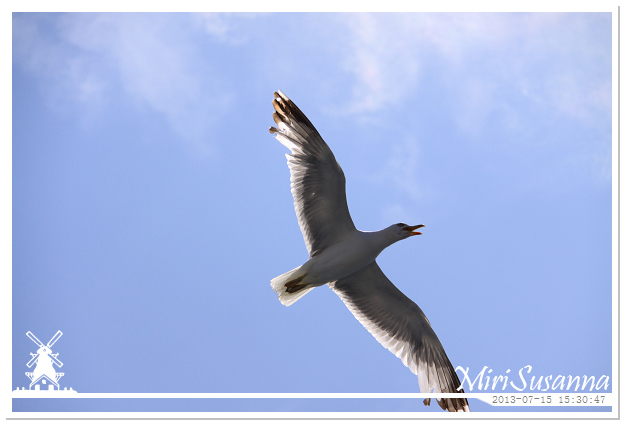 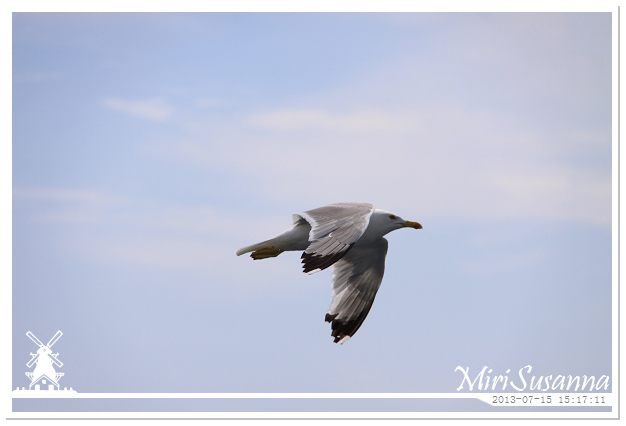 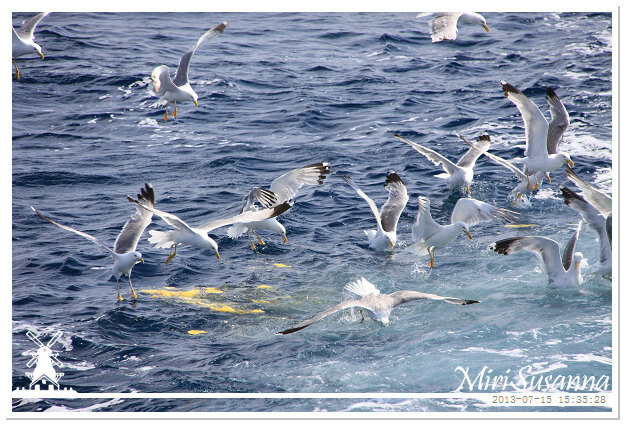 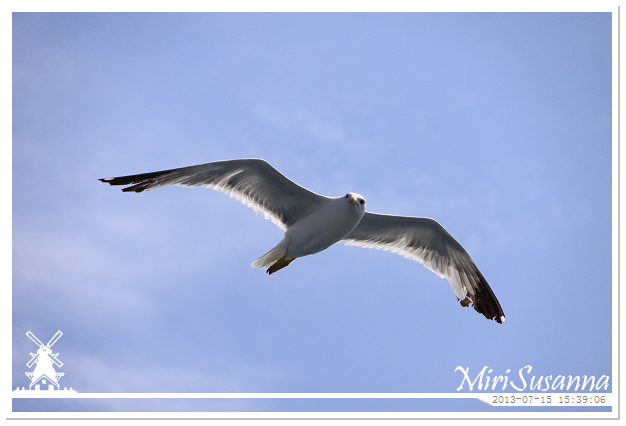 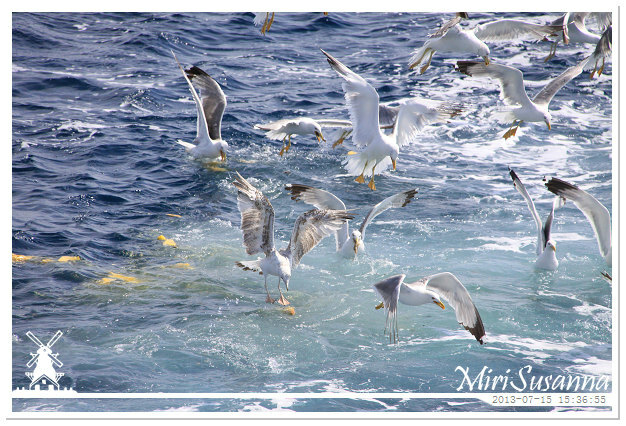 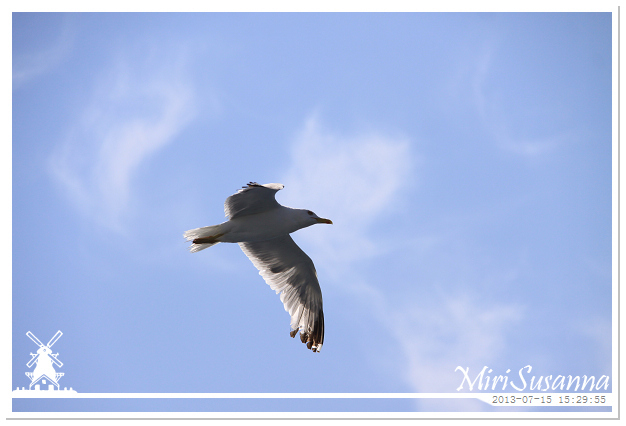 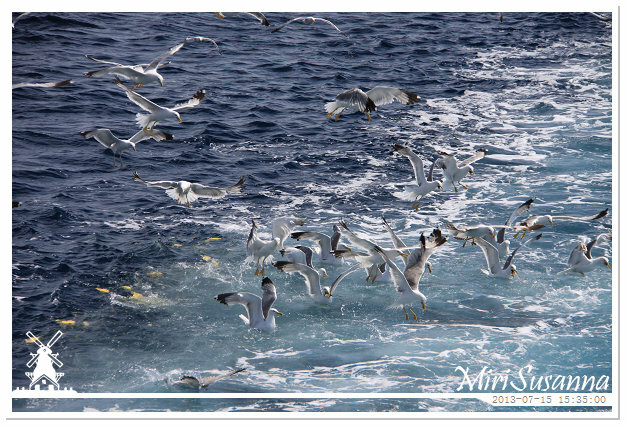 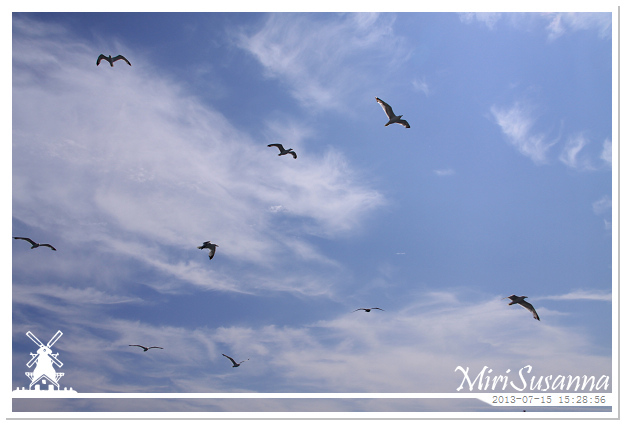 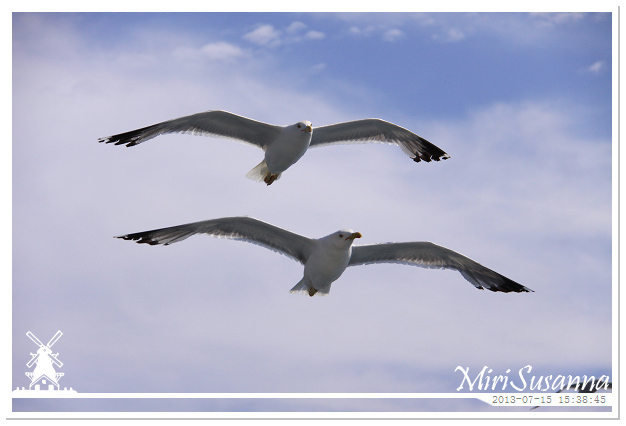 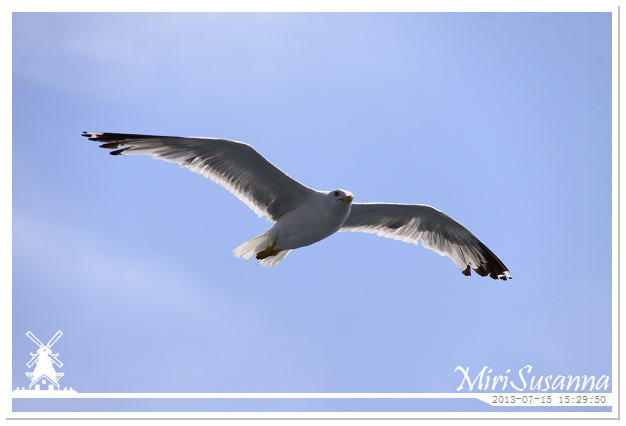 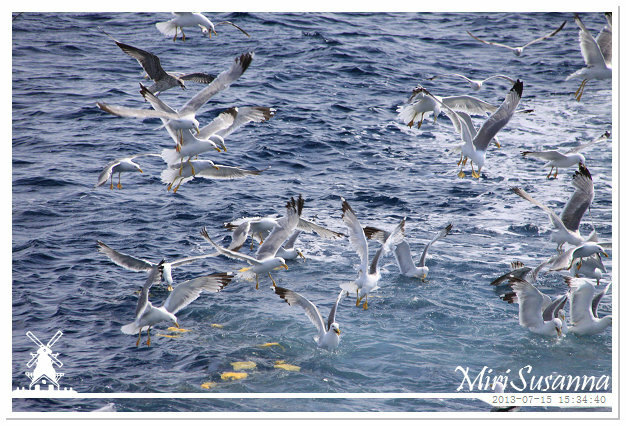 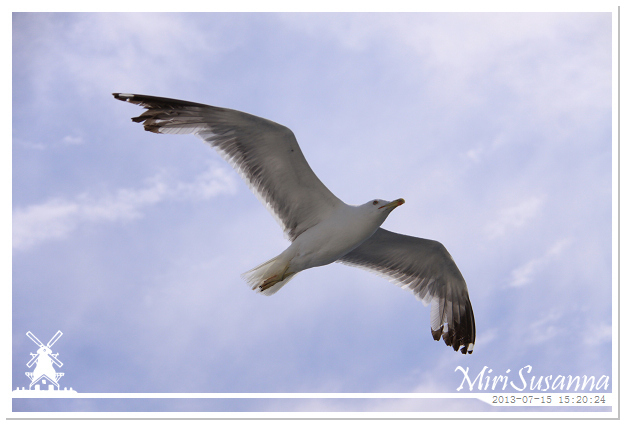 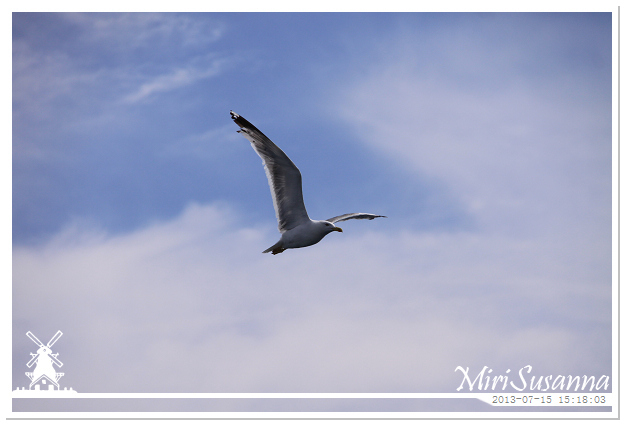 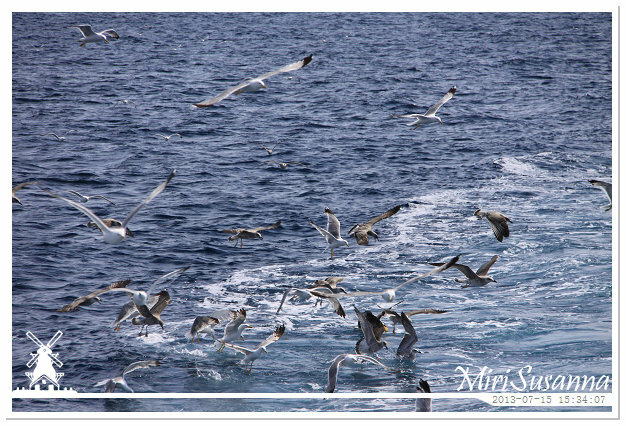 Many seagulls were following our boat. 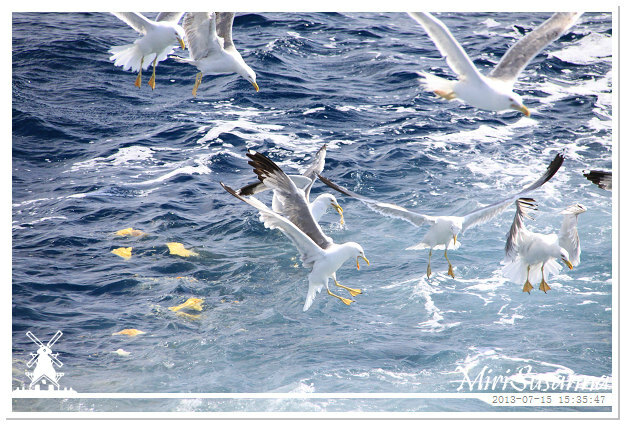 Bread etc for the seagulls. 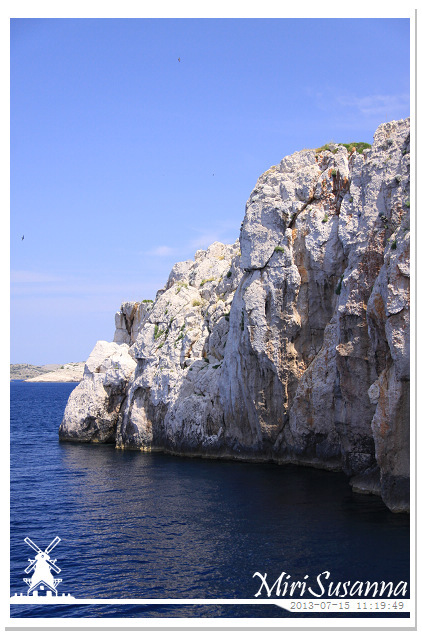 Bye bye, Leut! 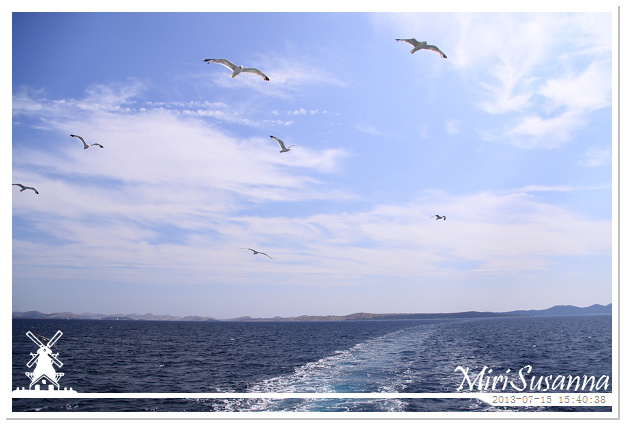 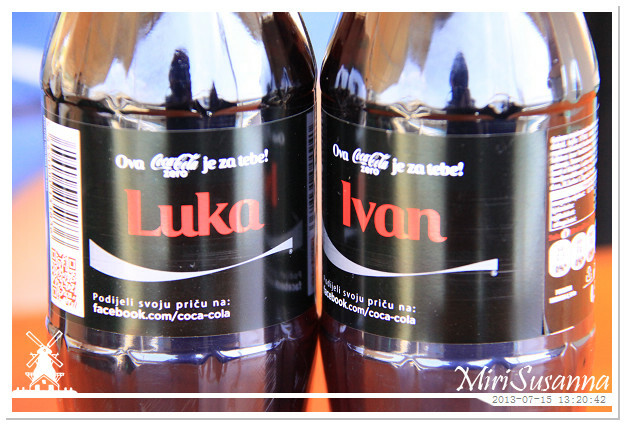 Thanks for the wonderful trip! 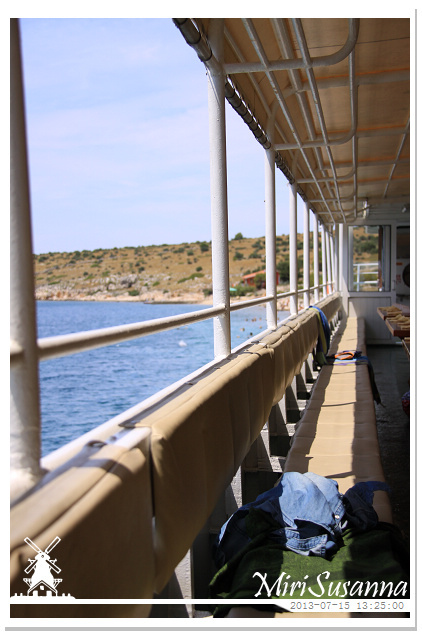 On the way back to B&B.